Last year made a hint to the world that gas could soon become a global commodity, just like oil. Some believe that the energy market is in the period of transition now. Trade in LNG became easier and cheaper, large infrastructure projects and pipelines do not scare investors so much since there is a strong belief that the projects’ payback will be high as demand grows. Global gas demand expanded at its fastest rate since 2010, with year-on-year growth of 4.6 percent, the second consecutive year of strong growth, driven by higher demand and substitution from coal. The demand was especially high in the United States and China. Dr. Fatih Birol, the IEA’s Executive Director, called 2018 another golden year for gas, which accounted for almost half the growth in global energy demand. Natural gas is a desirable fuel. It is the most environmentally friendly among all hydrocarbons (for example, when it is used the least greenhouse gases are emitted into the atmosphere). Gas heating of any settlements (up to megacities) is much more useful from the point of view of ecology, as air pollution decreases. The high temperatures created by the combustion of gas (more than 2,000 degrees) and the high specific heat of combustion make it possible to use it very effectively in various spheres of human life. Have you ever thought about how things that were prohibitively important in the past lose their value because of emergence of new technologies? For example, after the Second World War, the decline of the coal era began. The decline of the coal age did not at all mean that its reserves on Earth were exhausted. On the contrary, today's estimates show that there will be enough coal for centuries to come. However nothing can last forever and the development of engines operating on petroleum fuels has turned coal from a strategic resource into an ordinary commodity that is surplus on the market. Oil threw coal from its throne, and almost all continuous conflicts of the second half of the 20th century were in the struggle for “black gold”. The geopolitical struggle for the regions of oil production made the Persian Gulf a sore point of the planet. Today, the processes in the oil industry resemble the situation when the coal production went into decline. The oil surplus on the market due to the development of shale technologies already turns it into an ordinary product. Possession of oil production sites ceases to determine further enrichment of the leading economies. Today it’s not production that matters, but the transportation infrastructure, while gas gradually becomes the key energy commodity. Azerbaijan, a nation with rich hydrocarbon sources, can be truly called the origin of the oil industry. The world's first oil well was drilled at the Bibi-Heybat field in 1847, and turned Baku into a center of world oil trade and made the country by far the frontrunner in the world's oil and gas industry. The country was the world's leading oil producer in 1901, when the output reached 11.5 million tons of oil. Moreover, the country produced 23.5 million tons of oil, which amounted to 71.4 percent of the Soviet Union's production in 1941, while the production guaranteed the victory of the Soviet Union in World War II and turned oil into an extremely important factor of the national economy. Along with oil, with each coming year, natural gas production plays more and more important role in the country's energy sector. 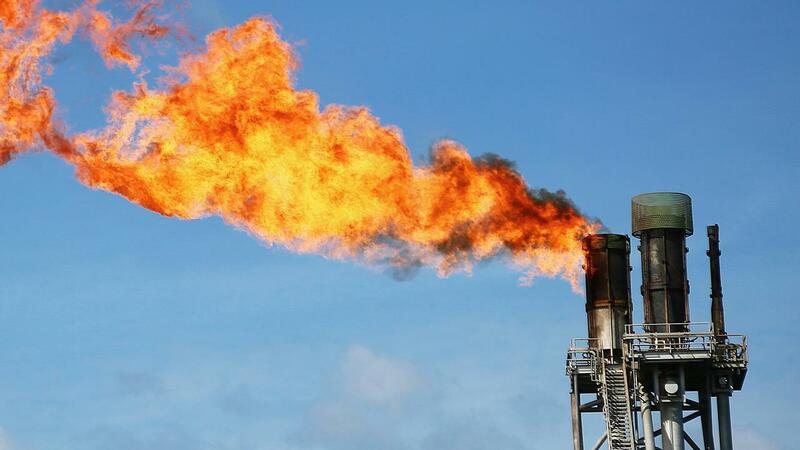 Recently, Elshad Nassirov, vice president for marketing and investments of Azerbaijan’s state oil company SOCAR, said in an interview with S&P Global Platts that Azerbaijan plans to increase gas production to 47.6 billion cubic meters in 2025. Nassirov also said gas output will rise to 38 billion cubic meters in 2023 and to 47.6 billion cubic meters in 2025. Gas output at Shah Deniz 2 is set to reach 17 billion cubic meters by 2021. Azerbaijan, has first positioned itself as a reliable partner, supplier and transitory country for oil and gas trade with neighboring states. However, the country had more ambitious goal to enter the European market and change the energy map of the world. Azerbaijan realized the importance of modern infrastructure on time and initiated a number of significant projects. The intention of South-Caucasian state to turn into important player on energy market laid the foundation of probably largest infrastructure project currently implemented in the world – the Southern Gas Corridor (SGC). SGC unites a number of pipeline projects set to bring Azerbaijani gas from Shah Deniz 2 field and by expanding the number of gas routes to Europe provides energy security of the latter. The Southern Gas Corridor, a multi-billion project, consists of four segments: Shah Deniz 2, Expansion of South Caucasus Pipeline (Baku-Tbilisi-Erzurum), the Trans Anatolian Pipeline (TANAP) and Trans Adriatic Pipeline (TAP).